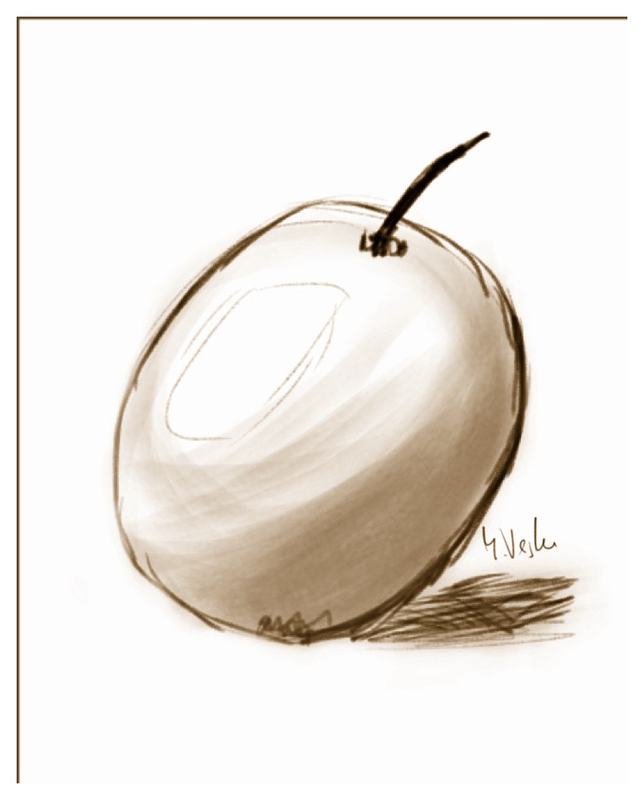 I remember the very fist lesson in Art Academy on the Nindento DS is to draw a circle, turn it into an apple and apply basic shading. It’s been a while since I’ve looked at it and I tried to recreate it from memory – here’s the result. I need a lot more practice to be happy, but at the same time I’m quite pleased that – for a freehand sketch created in 2 minutes – you can actually see what it is… even if apple isn’t the first thing that springs to mind. Let’s call it a plum perhaps. Now Art Academy for iPad… that would be cool!